Mandate for the bench and the bar is to provide speedy and inexpensive justice to the victim of justice and to protect their right. The legal system must continue to serve the victims of injustice, the bench observed. The Supreme Court, in B Sunitha vs State of Telangana, has made a significant observation calling upon the government and the authorities to look into the issue of introducing requisite legislative changes for an effective regulatory mechanism to check violation of professional ethics and also to ensure access to legal services. The bench of Justice AK Goel and Justice UU Lalit made this observation while quashing a complaint filed by a lawyer against his client based on a share in the decretal amount, wherein it observed that the said claim made by lawyer is a professional misconduct and the proceedings in the complaint filed by him have to be held to be abuse of the process of law and have to be quashed. After the hearing of the appeal concluded, the counsel for the lawyer sought to withdraw the complaint. But the bench did not permit observing that he has committed a serious professional misconduct, and could not be allowed to avoid the adverse consequences which he may suffer for his professional misconduct. The court, however, ordered that the issue of professional misconduct is left to be dealt with at the appropriate forum. This act of the lawyer seems to have prompted the bench to express its concern on the falling professional norms in the legal profession. “Significance of the profession is on account of its role in providing access to justice and assisting the citizens in securing their fundamental and other rights. Can justice be secured with the legal professionals failing to uphold the professional ethics,” the bench asked. 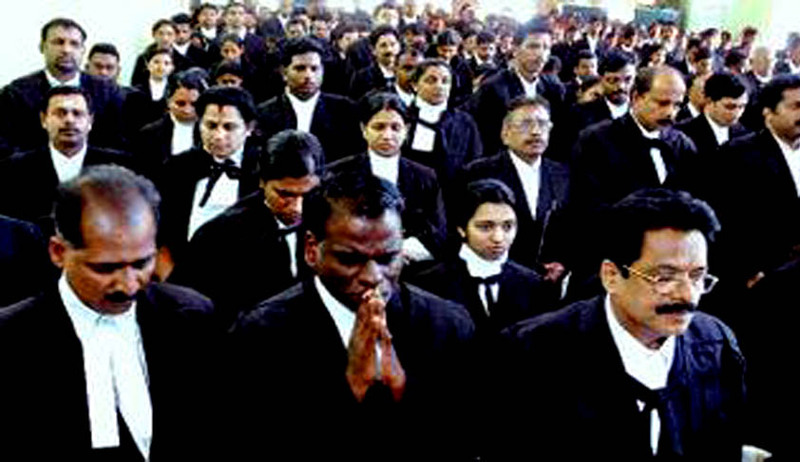 Commercialization to the extent of exploiting the litigant and misbehavior to the extent of browbeating the Court, breach of professional duties to the court and the litigant on the part of some members of the legal profession, affecting the right of the litigants to speedy and inexpensive justice, need to be checked, the bench remarked. The court has also referred to Law Commission’s 131st report wherein it was observed that it was the duty of the Parliament to prescribe floor and ceiling in fees for services rendered by lawyers. The court said though the Law Commission submitted its report in 1988, no effective law appears to have enacted to regularize the fee or for providing the public sector services to utmost needy litigants without any fee or at standardized fee. “Mechanism to deal with violation of professional ethics also does not appear to have been strengthened,” the bench said. The judgment also extensively quotes the Law Commission recommendations.